Excess weight is never a problem growing up. As long as you’re eating anything you want, life is fine. As an adult, your buddies may start their way to a healthier life, going to the gym and cutting on habits they feel aren’t aligned to their health goals. But you’re still fine with your life drinking alcohol and soda, partying into the wee hours of the night, and dumping all types of food into your system. Until on your sister’s or brother’s wedding photos, it quickly hit on you. You no longer feel comfortable at the image that stares back at you. Not only do you look unfit and unhealthy, but you look less confident compared to the other men in the photos. However, losing weight is never easy. You can’t just simply give up that slice of pizza every night or shy away from that bottle of beer. Worse, working out in the gym isn’t just your cup of tea. If it is, you would have joined your friends to the gym a long time ago. What should you do? You’re not alone in this dilemma. A countless number of men find how staying fit can be a tough job. Just go out into the street and you’ll see the number of unhealthy-looking men far outweighs those who look healthy and fit. Your diet works like a yo-yo when you lose a few pounds in the first week but regained half of it in the following week and then lose again in the next, and so on. Experts say no matter how many pounds you lost in a span of one week under a weight loss program, if there’s no consistency, it won’t benefit you in the long run. In weight loss, consistency is key. You have to be consistent despite the kind of weight loss program you’re following. One key factor that holds people back in weight loss is their relationship with food. You may not follow a strict diet, but you have to make sure that you have the capability of losing the calories you’ve just taken in. You can’t lose your extra weight by just thinking about it. This means you have to do something. You have to act and choose what kind of weight loss activity you want to follow. If you’re a total newbie in this journey, don’t set goals that you know are too high for you to reach. If you want to try something like running, set a goal of running a few kilometers in the first week. Never mind if others are running in miles in their first week. Their journey is much different from yours and so are their goals too. If you’ve achieved your goal, let’s say, you’ve run for about 50 kilometers 3 times a week, and your body is comfortable with it, it’s then time to move ahead. Set another doable goal. The point is not how far the distance you’ve covered, but how consistent you are in hitting your goals. Exercising your goal setting muscles is also a key in your weight loss goals. 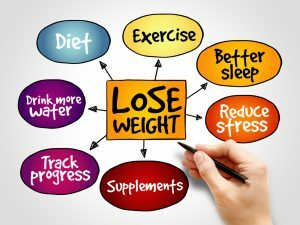 The behavior patterns are often overlooked in the weight loss process. This is why some people who can’t see immediate results give up and say they’re bored or tired of dieting and exercising. They fail to see results because they fail to see that their behaviors could be a hindrance in their weight loss goals. You should take a closer look at your behavior. Are you eating calorie filled junk foods while watching TV? Do you have a habit of eating out on Friday nights with friends? Do you eat when stressed or bored? These are the triggers to eat food high in calories. Changing your behaviors may not be easy but you can do it by taking one small step at a time. While alcohol consumption is gaining a bad rap these days, it doesn’t mean you’ll deprive yourself of it. Your body needs alcohol for your heart health. A moderate amount of alcohol also raises your body’s ‘good’ LDL cholesterol levels. 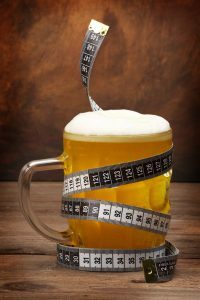 You don’t have to associate weight loss with quitting alcohol altogether. Just make sure you don’t go more than 3 to 5 drinks a week. Anything beyond that may mean a lot to the success of your health journey. You don’t have to push yourself too hard. Even the winners of the biggest loser challenge (a game of losing more weight fast) regained their weight back in a span of six years. Losing weight is not a battle you have against yourself. It’s about you and the relationship you have with yourself. You can’t lose yourself in the process. This means you have to enjoy what you’re doing. Once you’re contented with your progress, you would love the result and how it makes you feel. By focusing on the feeling it gives you, you’re more likely to maintain the healthy activities that lead you to your desired weight. Losing weight is not a competition. Your progress may look slow compared to others who are on the same journey but keep in mind that it’s not the short-term results that matter. It’s the long-term benefits that you will enjoy that matters most. As long as you stay consistent and focused, you will not only shed extra pounds but will also lose the unnecessary thoughts that are keeping your mind heavy. Don’t overthink about it. Do it slow and steady, and you’ll surely win the weight loss race.